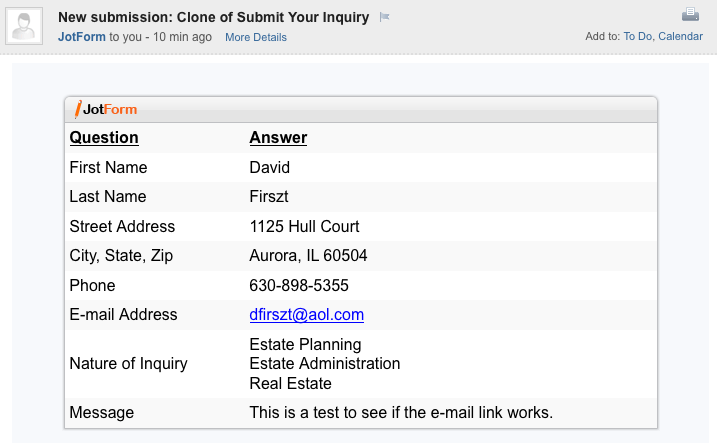 How do I get the Submit button to send to my client's e-mail address? I placed a "no fill, no stroke" link box over the Submit button to link to my client's info e-mail address for any submissions. However, it came back to me through a jotform.com e-mail. What happened. How do I get the collected form information sent to him at his hostgator account, not me from you? See screen shot of your e-mail to me. If you need clarification on anything, do let us know.